Congrats to Kaetrin, who won A Solid Core of Alpha by Amy Lane! Congrats to Linda C, who won Landfall by Lori Toland! Congrats to Anna, who won Strays by Elizabeth Noble! Strays is being released today by Dreamspinner Press. 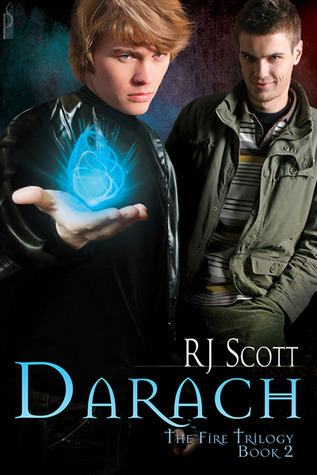 To celebrate the upcoming release of Eoin, the final book in her Fire Trilogy, RJ Scott is donating an ebook set of the entire trilogy (Kian, Darach, and Eoin) for a lucky commenter to win! 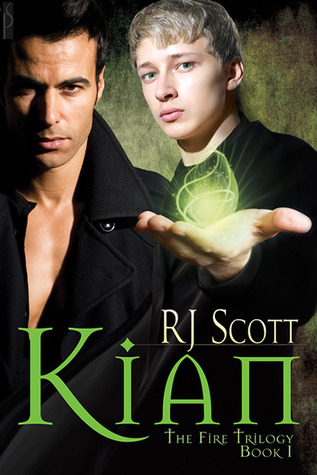 Kian ap Rhys is a warlock, a protector and wielder of The Fire. This fire shines purest in a warlock and is coveted by the Nameless. When his uncle’s Fire is stolen, Kian vows vengeance and seeks the aid of Regan Campbell. As a hunter of the supernatural predators Regan is the perfect choice to aid Kian on his quest, but Regan is suspicious of the warlock and unwilling to help. It isn’t until their lives are endangered by The Nameless and all choice has been stripped away that they realize they must trust one another or be destroyed. Darach is distraught. Not only has he lost his best friend Kian to worlds unknown, but he is unable to follow. The only time someone of his world can pass to the Other World is when the barriers are thinnest at All Hallows Eve, but he can’t wait that long. He needs to find Kian now before the Other World destroys him. Who in Uffern knows what is happening to his friend in the dangerous other place? There is only one solution, he needs greater magic to pass across to the other world. There is an ancient tribe of travelers, Cariad, that City people are told to avoid, users of magic so perverted and awful that just to talk of them means instant banishment from Council-run City. This tribe, the Cariad, are the stuff of children’s nightmares, stories of death and destruction follow this tribe wherever they go, users of strong magic. It’s only his desperate need to rescue Kian that drives him to make contact with the Cariad, and with Ceithin. Not is all as it seems, and with the Guardian of the Fire tracking them down, Ceithin must teach Darach the ways long forgotten to control Fire, before they are found. 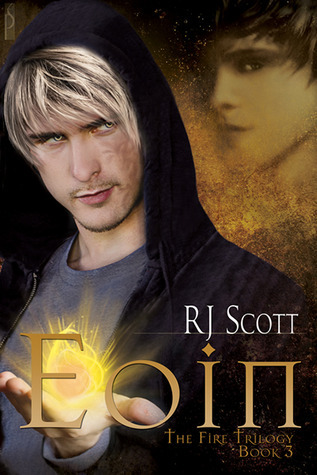 Eoin (Book 3) will be released by Silver Publishing on September 17. Eoin is faced with the end of times. With his friends at his side, can he rescue the prisoner who might hold the secrets to winning the battle between Cariad and City as well as the key to his heart? To enter, leave a comment stating that you are entering the contest. Contest closes 7 pm CDT, Friday, September 16. Posted by Chris on Wednesday, September 7th, 2011, at 2:00 am, and filed under Contests, Reading. 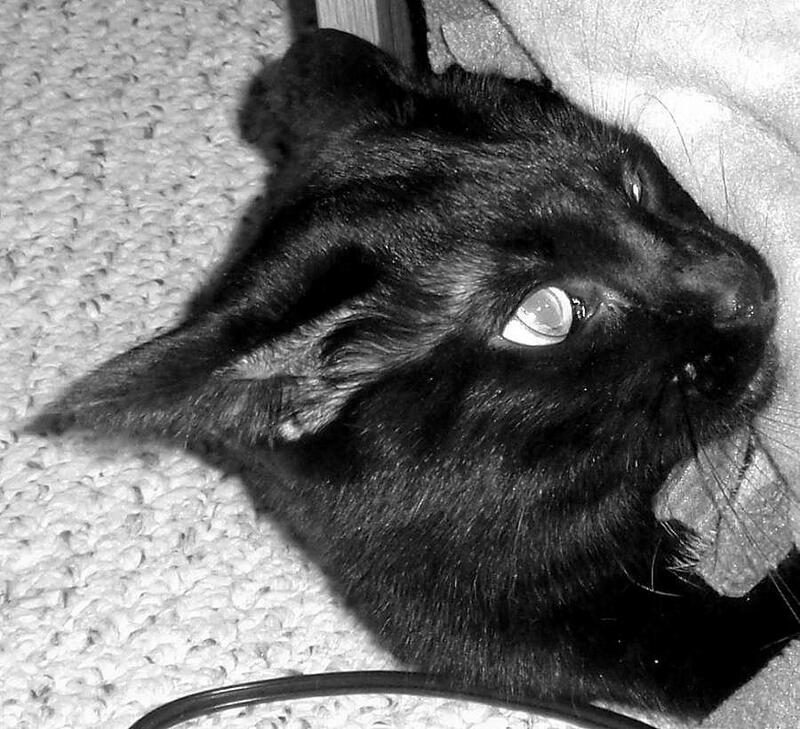 LOL, yes, I’m laughing at both the caption and Chaos’ expression….priceless. I’m adding this series to my must have list. OMG, I crossed my fingers and waiting. oh those sound great! Add me too, please. Hmmmm. 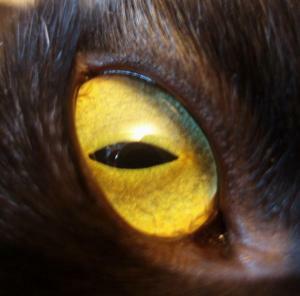 Warlocks? Haven’t read a lot of books about those, count me in! Sign me up, please and thank you!